Order in the next 11 hours 19 minutes and your package will dispatch on Wednesday, April 24. Your engagement ring deserves a wedding band with plenty of elegant sparkle of its own. 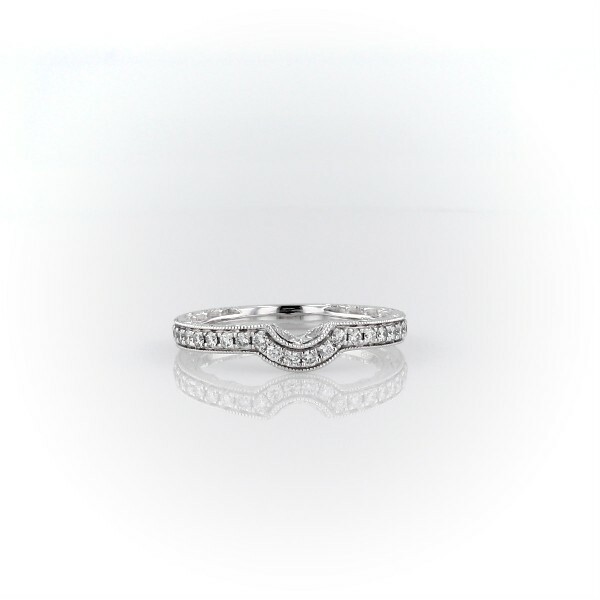 This eye-catching and gently curved 14k white gold band features a delicate décor engraved on the sides and milgrain corners to frame the fantastic sparkle of pavé diamonds.